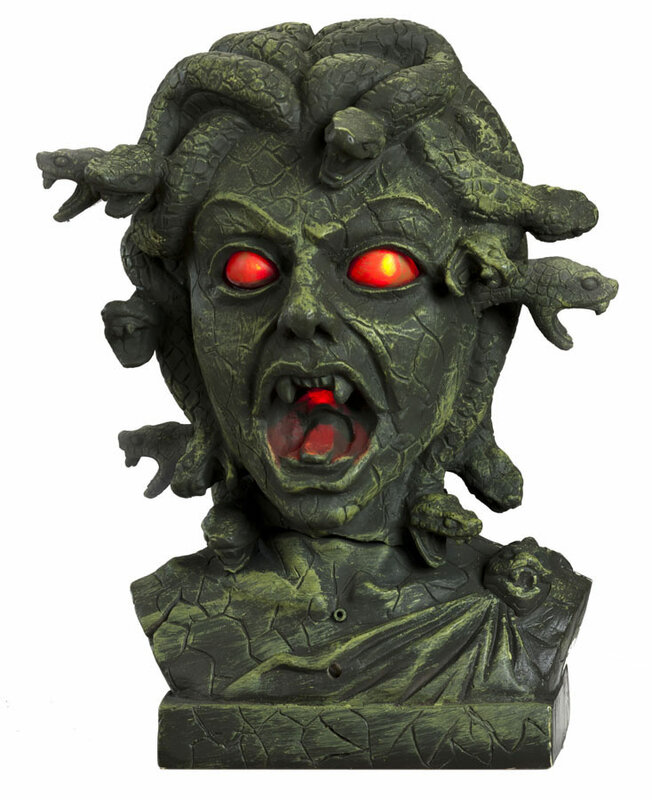 Medusa won't just spook your guests; she will send them out of the house screaming! This 11'' animated bust features motion-activated snakes that slither and hiss, not to mention glowing red or green eyes while she speaks. The prop runs on 3 AA batteries.